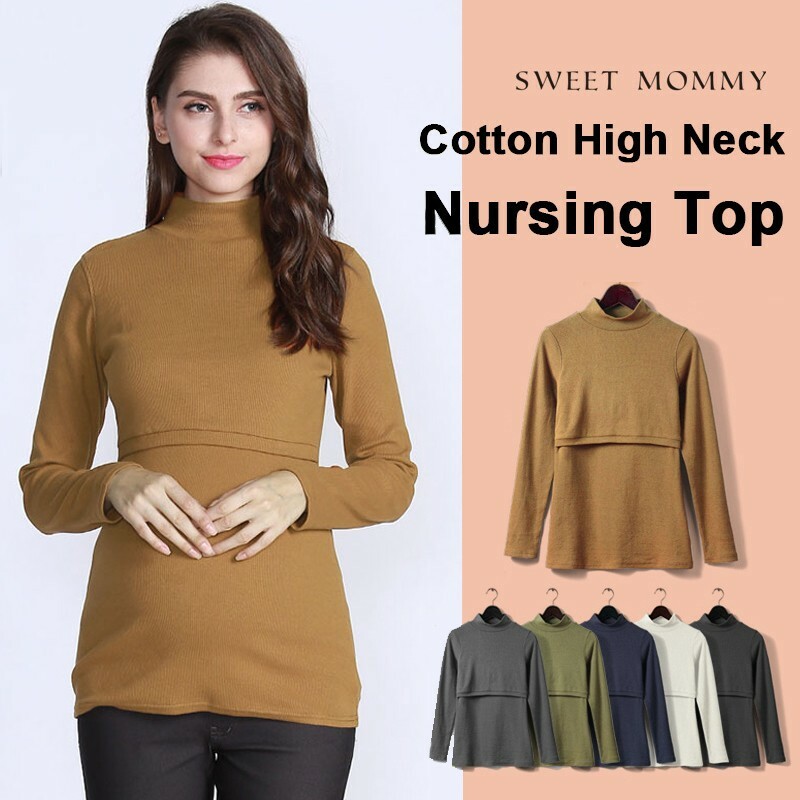 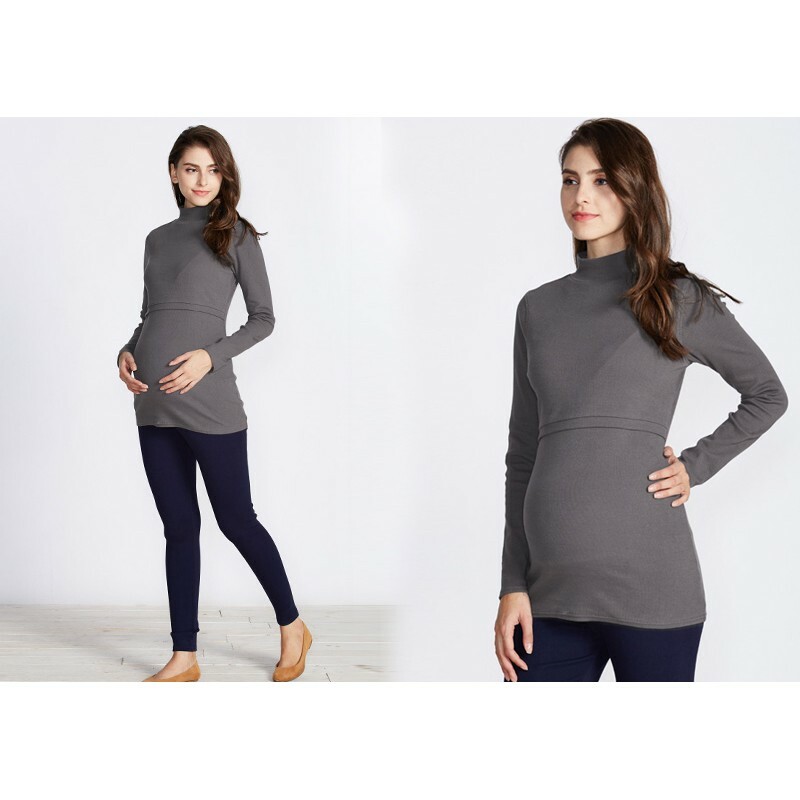 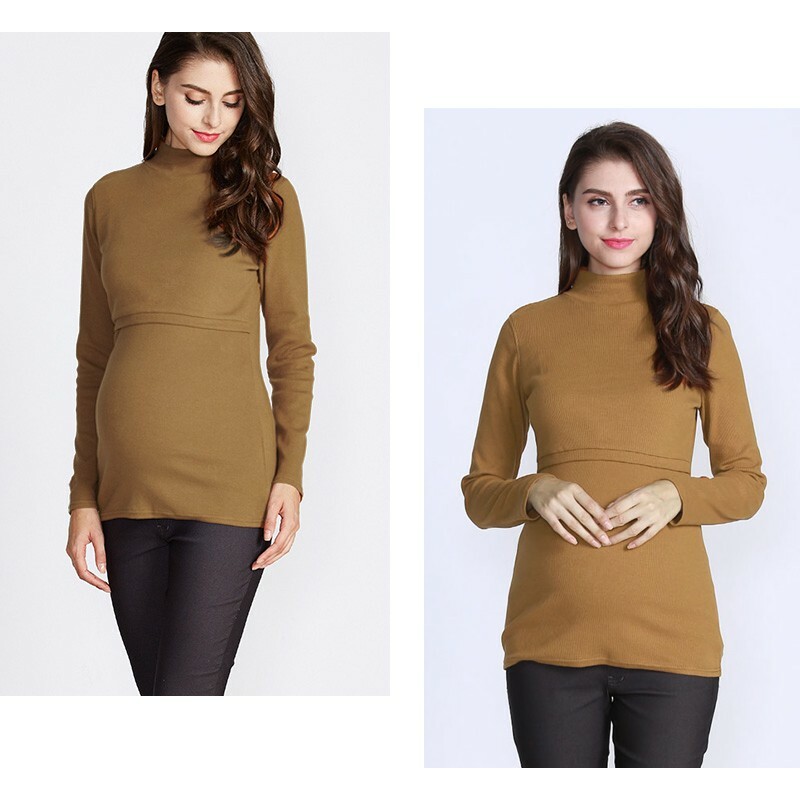 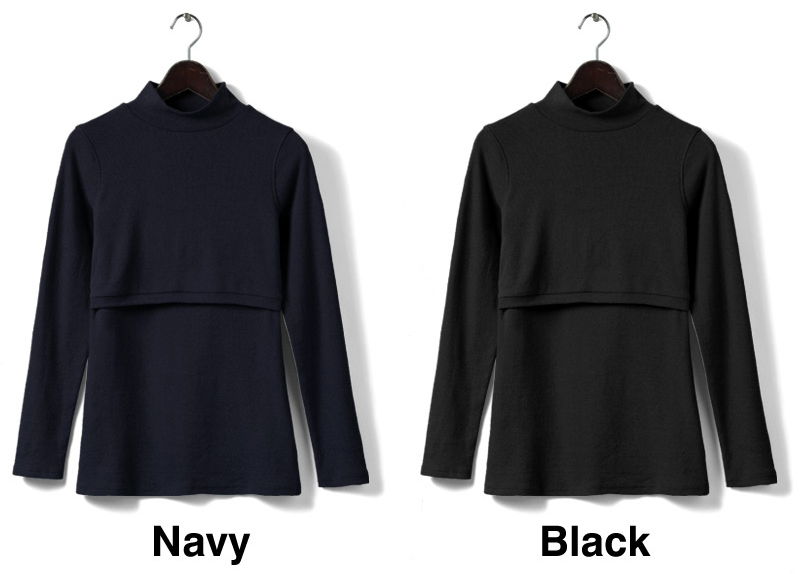 Maternity and nursing high neck and long sleeve top, available in different colours. 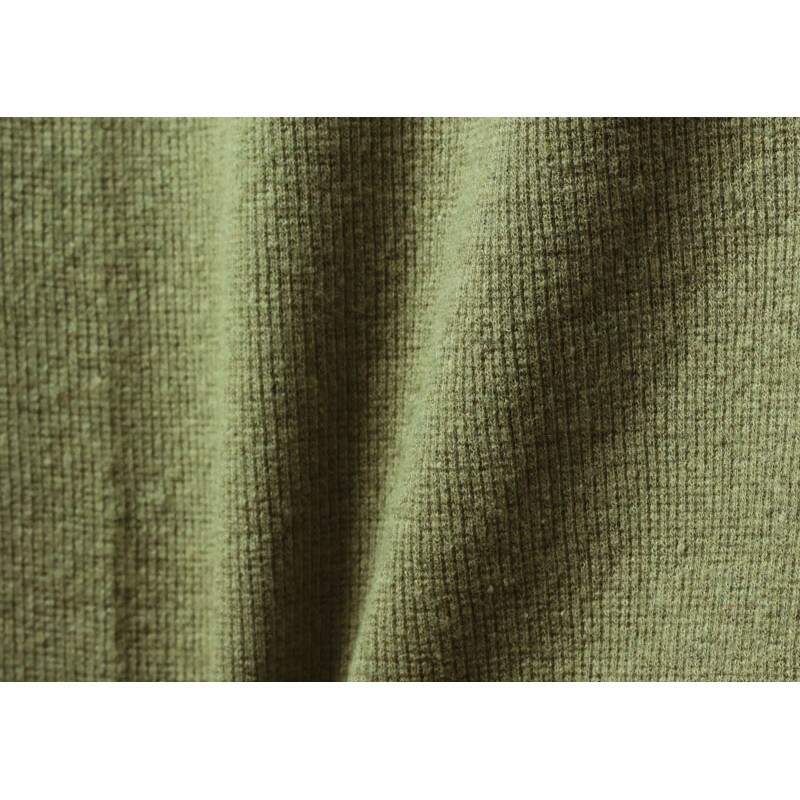 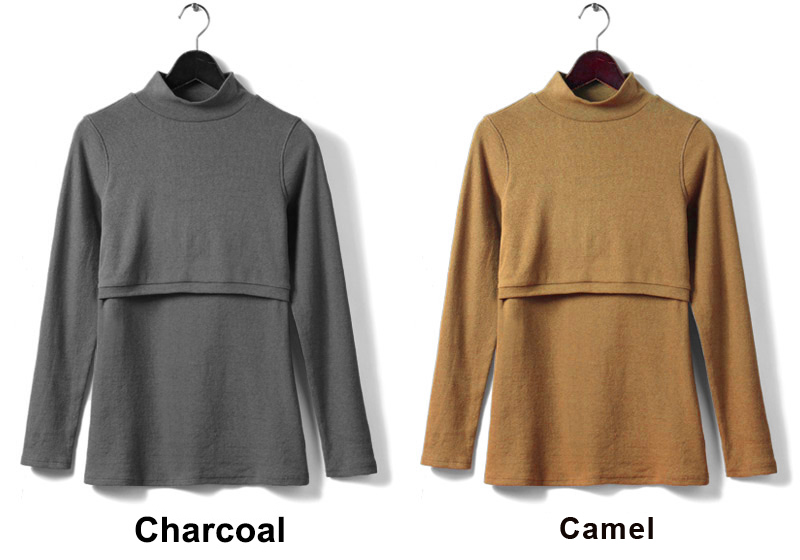 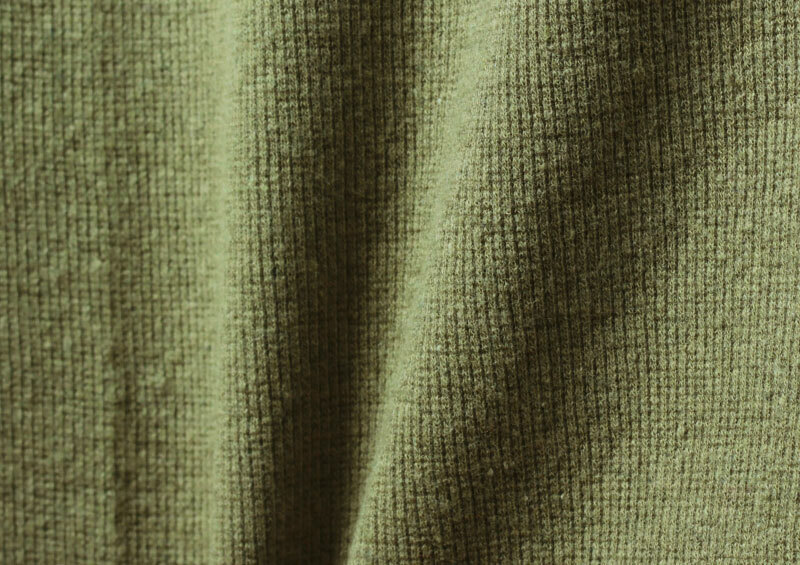 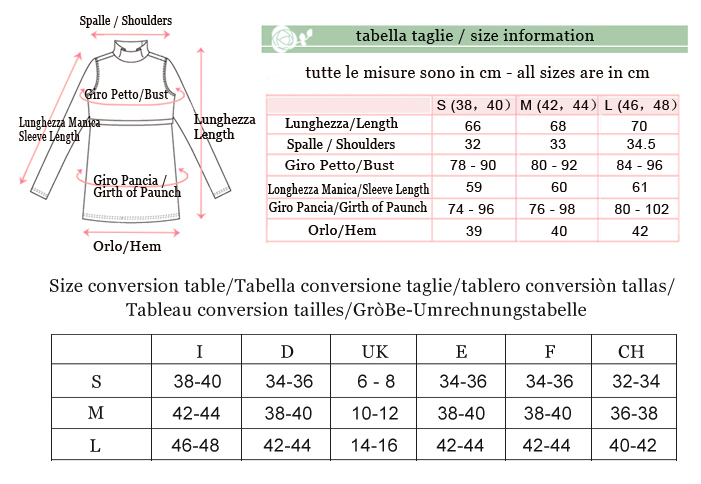 Very warm and confortable cotton high neck shirt, available in different colours. 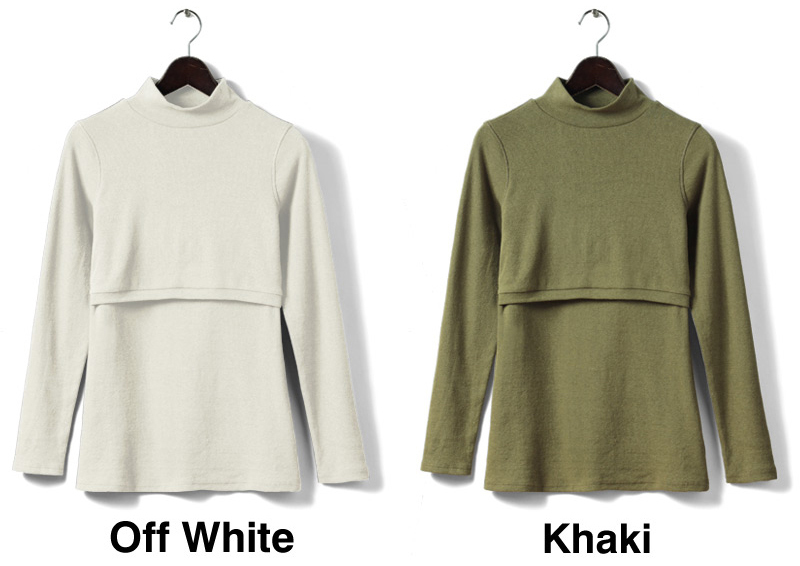 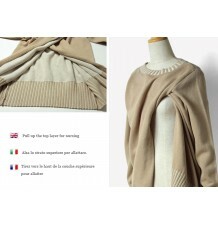 Available in 6 colours: off white, khaki, navy, black, camel, charcoal. 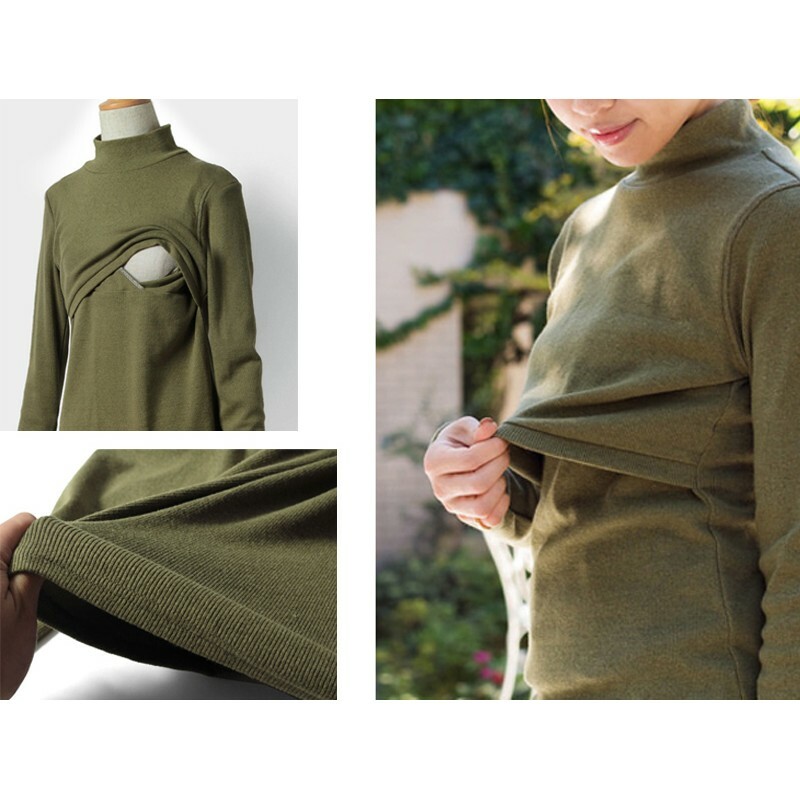 Made by stretch and comfortable fabric, easy to care. 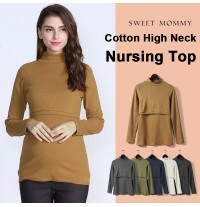 For breastfeeding, it has a special opening: the top layer is easily lifted when you need, the underlayer keeps you covered while nursing. 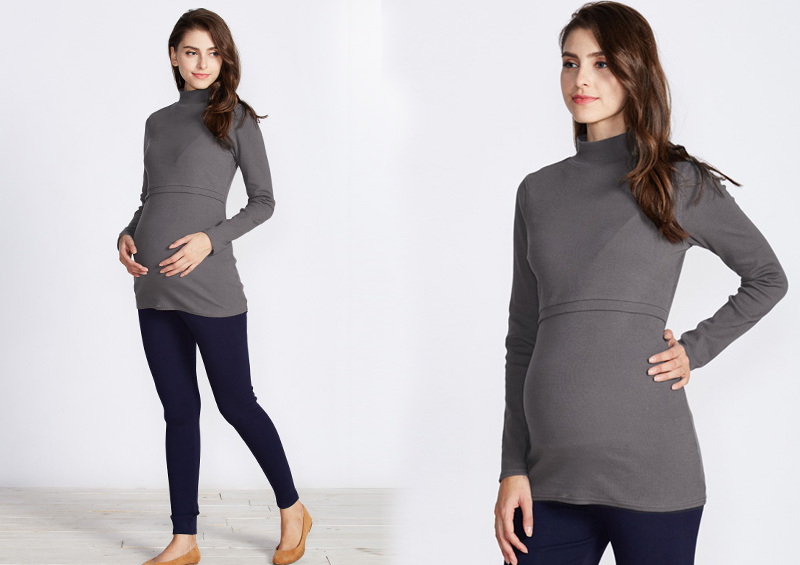 You can discreetly feed your baby even in a public place.